As I've written about before, my great-great grandfather, Henry Garrison Cross, was first married to a woman named Josephine Anderson. What I haven't shared before is information about her family...because it was a mystery! 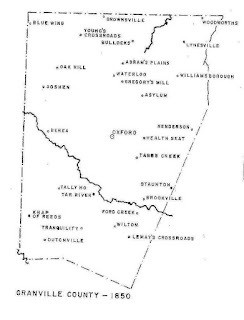 But after reading every page of the 1880 census for Robertson County Texas, I made the reasonably logical leap that the only other Anderson family in Robertson County, who also happened to live in Calvert, and who also happened to be listed only a page after Garrison and Josephine (and thus likely lived in close proximity), more likely than not were Josephine's parents. I don't love making assumptions like this, I far prefer cold hard evidence. But doing genealogical research on African Americans in the 1800s requires some manner of educated leaps if you're going to make any progress. I think this particular leap qualifies; moreover, I think my recent DNA connection actually provides the desired confirmation! All of the above information about the children was taken from a combination of the 1870-1910 Censuses. Dennis is listed as 29 years old, born in born (about 1841) Mississippi and White. His occupation is listed as "Restra Keeper." Anyone's guess what that means, but there are other occupations on the same page for saloon keeper and bar keeper. So perhaps his could be restaurant keeper. Clarenda is listed as 28 years old, born (about 1842) in Alabama and Black. Eunice is listed as 3 years old, born (about 1867) in Texas and Black. Lizzie (difficult to make out the name) is listed as 1 year old, born (about 1869) in Texas and Black. Dennis is listed as 38 years old, born (about 1842) in Mississippi and black. His occupation is listed as Carpenter. Clarenda is listed as 33 years old, born (about 1847) in Alabama and Black. Eunice is listed as 13 years old, born (about 1867) in Texas and Black. She can read and write! Lizzie is listed as 11 years old, born (about 1869) in Texas and Black. She can read and write! Wesley is listed as 7 years old, born (about 1873) in Texas and Black. Dennis (possibly aka Samuel D.M.) is listed as 5 years old, born (about 1875) in Texas and Black. Lena is listed as 3 years old, born (about 1877) in Texas and Black. Timothy is listed as born in September of 1879 (love it when they give this info! ), in Texas and Black. Note: In 1880, my Josephine is listed as 17 years of age (which roughly corresponds with her marriage certificate from a month before, where she was listed as 16 yo), married to Garrison Cross (27 yo, but note a month before his marriage certificate said he was 23) and living 4 house numbers down from Dennis Anderson's family. [Have I mentioned lately how incredibly troublesome and difficult it is to Af-Am genealogy that the 1870 census was destroyed! 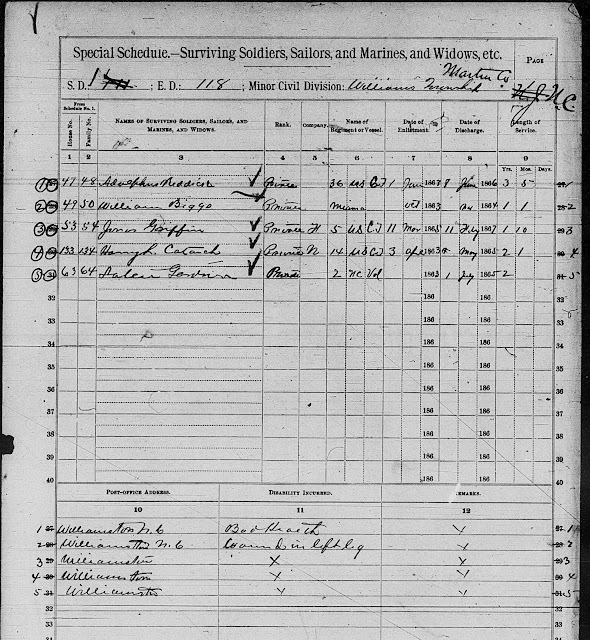 Dennis is listed as of unknown age (odd), born in Mississippi, a shoemaker and Black. He can't read or right, has been employed all year, and owns the home where he lives. Clarenda is listed as 45 years old (born in Sept. 1854), born in Alabama (lists her parents as being born in North Carolina) and is black. She indicates that she's birthed 9 children and 8 of them are still living. Thomas (new child) is listed as 16 years old (born Dec. 1883), born in Texas and Black. His occupation is listed as Bell Boy in a hotel. He can both read and write. Tena Livingston (new info!) is listed as the other of Dennis (but I think she's the mother-in-law, Clarenda's mother, and this means Clarenda's maiden name is likely Livingston! ), she is listed as unknown age, born in North Carolina, widowed, and having had 6 children, 5 of which are still living. Garfield Cross is listed in the same directory as living at the exact same address. This is how I "connected" the Dennis Anderson living near Garrison and Josephine to my tree. 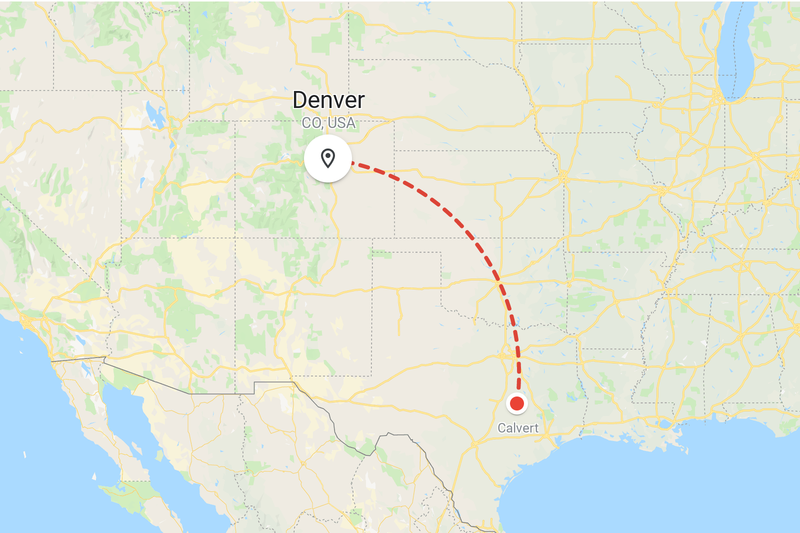 But the title of this entire post is Colorado Connection....where does that great state come in?? Dennis Anderson is listed as 70 years old (born about 1840), a carpenter, married 44 years, born in Arkansas (??) and is Black. Clarinda Anderson is listed as 63 years old (born about 1847), married 44 years, born in Alabama, whose parents were born in South Carolina (??) and is Black. 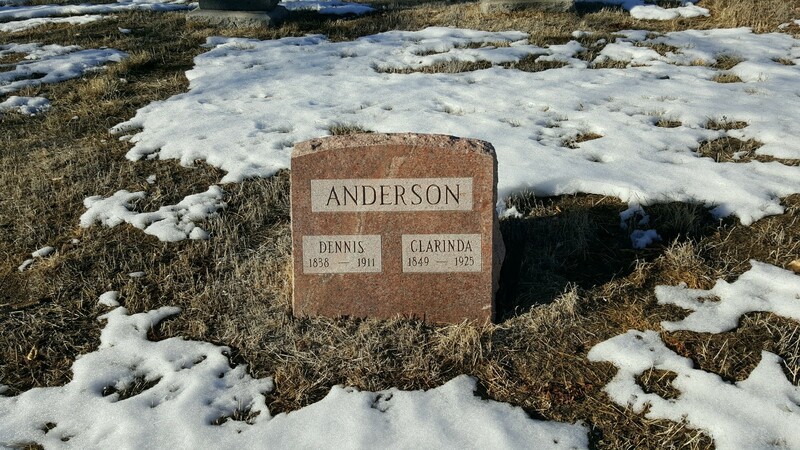 Leonard Anderson is listed as 35 years old (born about 1875...but don't know where he came from), born in Texas and is listed as Single and the son of Dennis and Clarinda and is Black. He is a clerk in a drug store. Leonard Coby? Coby Leonard Anderson? Not sure of the name, but she's listed as 11 years old (born 1899) and the granddaughter of Dennis. She was born in Texas and it lists her parents as being born in Texas (father) and Alabama (mother). Genevieve Coby or Genevieve Anderson? Not sure of the name, but she's listed as 7 years old (born 1903) the granddaughter of Dennis. She was born in Colorado and it lists her parents as being born in Texas (father) and Alabama (mother). So sisters? Dennis passed away in 1911 and was buried on May 14, 1911 in Denver, Colorado. His remains are interred at Riverside Cemetery (Block 28 Lot 65 Section S 1/2). Leonard Anderson is listed as 38 years old (born about 1882), born in Texas and a Mulatto. Lists his parents as being born in Arkansas (father) and Alabama (mother). His occupation is listed as Equipment Inspector for the railway and he owns his own home. Georgia E. Anderson is 45 years old and listed as his wife. Clarinda Anderson is listed as 69 years old (born about 1851), identified as Leonard's mother, born in Alabama, and is a widow. Parents are listed as from Alabama (father) and South Carolina (mother). Clarinda passed away in December 1925 and was buried on December 20, 1925 in Denver, Colorado. Her remains are interred at Riverside Cemetery (Block 28 Lot 65 Section S 1/2). Eunice (about 1867) - Clarinda would have been 25 at birth (assuming 1842 birth date is best guess at her birth year). Thomas (Dec. 1883/1895)- Clarinda would have been 41 or 53 at birth (that range is still plausible). Leonard (1875/1882) - Clarinda would have been 33 or 40 at birth (that range is plausible). This is all possible. But acknowledge more work needs to be done. I stumbled across the Blair-Caldwell African American Research Library in Denver. The have significant records, including obituaries from old newspapers that I've been unable to find on-line. They do provide the index and wonderfully there are obituaries for both Dennis and Clarinda. Fingers crossed that the obituaries shed light on this potential question one way or the other.